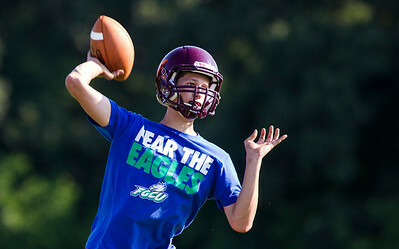 Kyle Grillot - kgrillot@shawmedia.com Richmond-Burton junior Joey Horner passes the ball during a drill ran at practice Thursday, July 17, 2014. 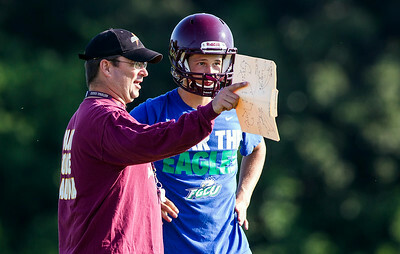 Kyle Grillot - kgrillot@shawmedia.com Richmond-Burton head coach Pat Elder talks with junior Joey Horner during a practice on Thursday, July 17, 2014 in Richmond. 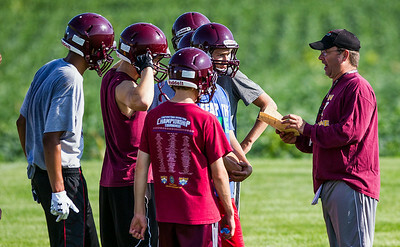 Kyle Grillot - kgrillot@shawmedia.com Richmond-Burton head coach Pat Elder talks with his team during a practice on Thursday, July 17, 2014 in Richmond. 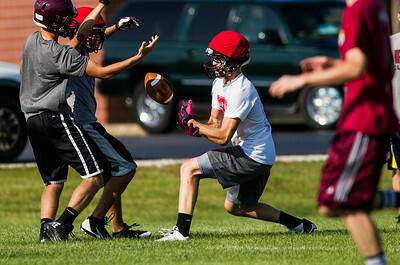 Kyle Grillot - kgrillot@shawmedia.com Richmond-Burton senior Brad Boelkow (center) bobbles the ball before making a catch during a drill ran at practice on Thursday, July 17, 2014. 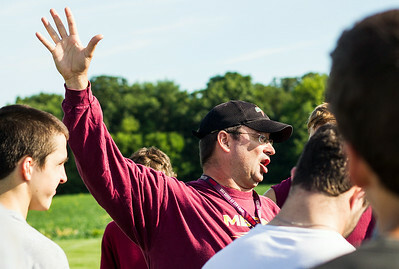 Kyle Grillot - kgrillot@shawmedia.com Richmond-Burton junior Joey Horner looks for an opn receiver during a drill ran at practice on Thursday, July 17, 2014. 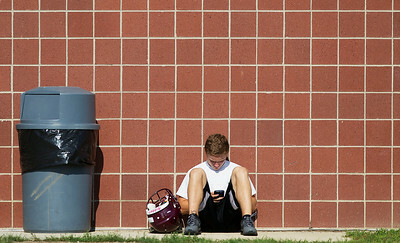 Kyle Grillot - kgrillot@shawmedia.com Richmond-Burton sophomore Kevin Pedley, waits outside of the high school after football practice Thursday, July 17, 2014. 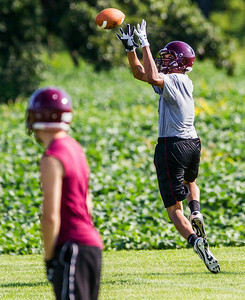 Kyle Grillot - kgrillot@shawmedia.com Richmond-Burton junior Reggie Banks catches a Joey Horner pass during a drill ran at practice on Thursday, July 17, 2014. 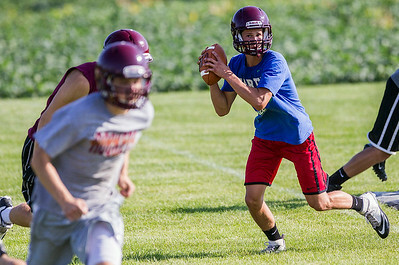 Richmond-Burton junior Joey Horner looks for an opn receiver during a drill ran at practice on Thursday, July 17, 2014.